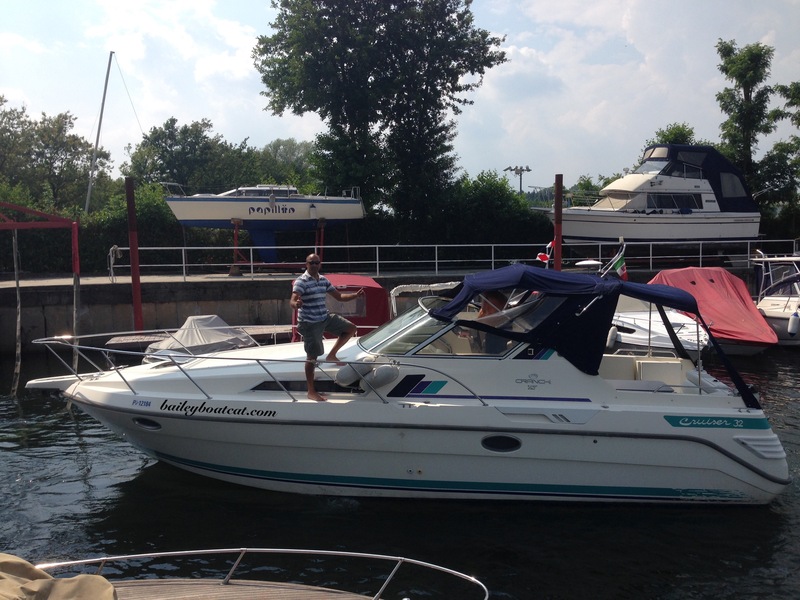 We bought a new boat! 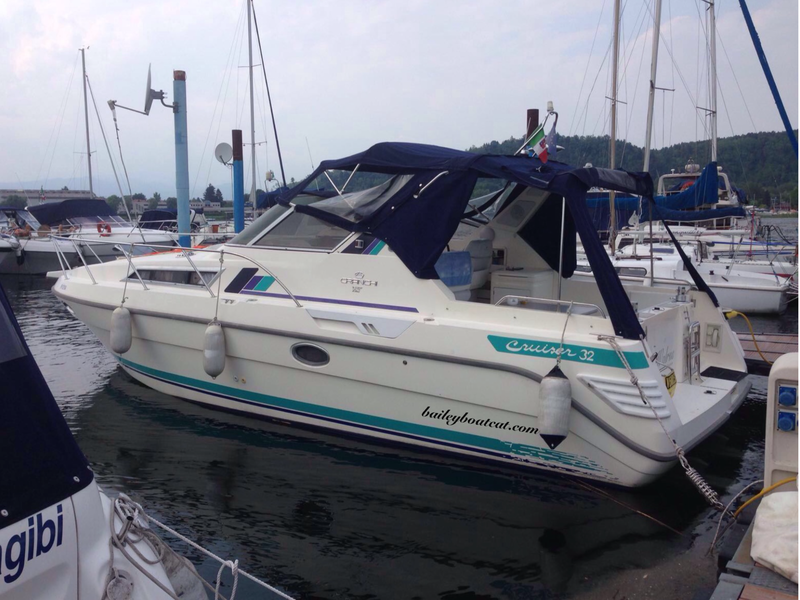 Last week I sent April off on a mission to find a nice boat for us to enjoy on Lake Maggiore. She found a motorboat that took her fancy! (?) It’s really quite shocking for a sailing family to have a motorboat, but after the young pup explained herself, I agree she’s chosen well and found the purrfect solution for us on the lake. Don’t worry furiends, Nocturne isn’t going anywhere. She’s my true love, but this new (to us) boat will be lots of fun when we can’t get to Nocturne. We’re going to love exploring the lake. We will probably spend some weekends at the top of the lake in Switzerland too which will be fun. The ability to race home at over 20 knots will be a novelty for us too! The boat has got two cabins, a galley and a head (bathroom). The best bit is how much space there is out side for sunbathing and it will be easy for the humans and April to jump in and out of the water for swims… I’ll stay behind to supervise the boat obviously! The current name of the boat is Walrus, but we’d like to think of something more purrsonal to us. Do you have any ideas? Current contenders are; ‘Puffed Out‘ or ‘No wind, no problem‘… No seriously… We’d like a nice name. Today we’ve driven from Milan back to Rome and tomorrow we’re setting sail for Ponza to spend the week. It’s going to be pawesome for April to have her first proper sailing holiday! The weather forecast is purrfect and I’m so excited! Congrats on your new boat!!! Congrats on the powerboat! I suggest the name ‘Purrfect’ !! Have a great sail, Bailey!! April looks REALLY excited! Have fun! How awesome that you have a motorboat now! I’m sure you’ll have lots of fun with it when you’re not sailing on the Nocturne. awesome. you both will have fun eating real fishies caught on this boat. Beautiful boat, how about Heaven On Earth #2 for a name? Bailey, you and your family are so blessed to spend time on such a beautiful lake. Wow! What a beauty! April chose well! Chat de lac or even TC/Top Cat. Stink boats are great for returning QUICKLY to port when a summer storm is brewing. Wow! What fun you’ll have with your new boat! How great to have 2 boats. With the lake being close to home, you will really enjoy Summertime! 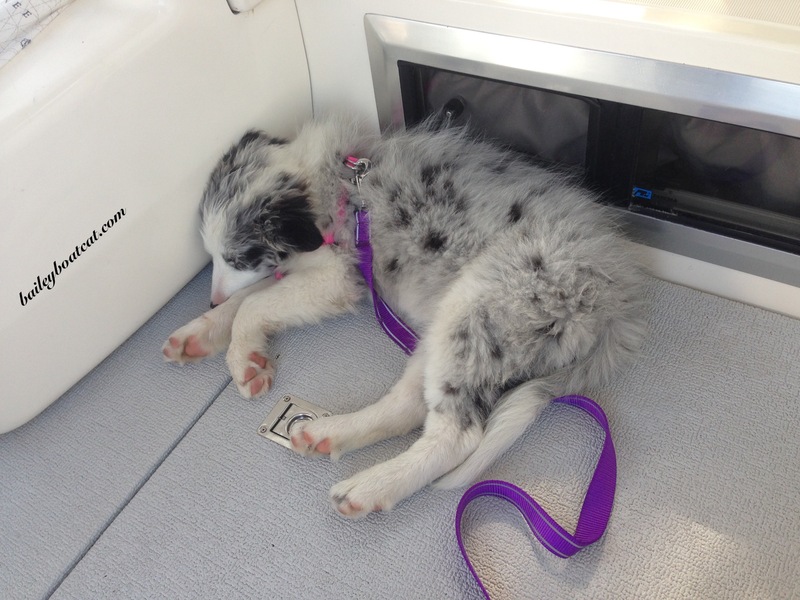 Of course a fast moving Aussie pup would pick a motor boat. Kids these days! Oh, Bailey, We are thrilled that we got your “quiz” correct! We just knew you were going to get another boat, and she’s a beauty. Looks like one that we’d also like to tool around in. 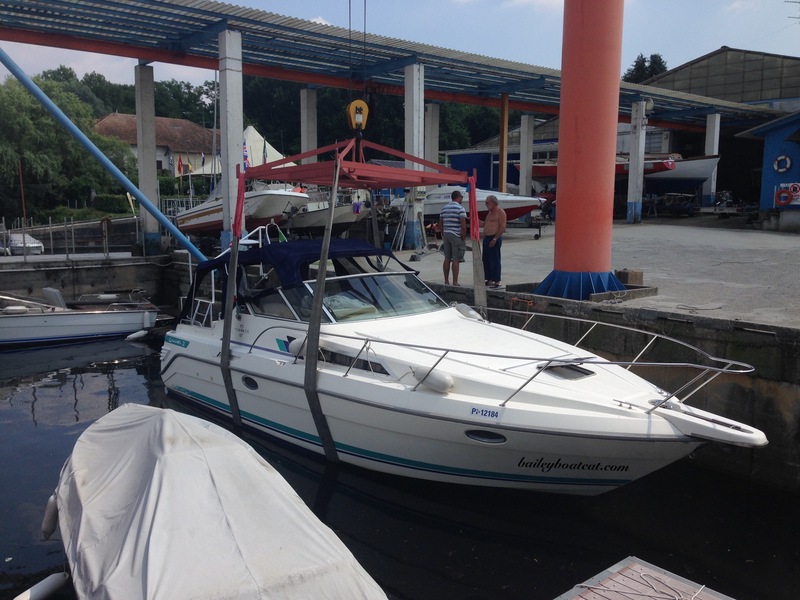 Power boats are convenient when there is no wind, and your new boat looks like a wonderful home afloat, but nothing beats the feeling of sailing on a brisk wind, no noisy engine, no smell of exhaust. Don’t get me wrong, we love our little power boat, but our true love is wind power. Mewow what a pawesome motor boat April picked out, pretty good for a young pup new to life on the water! We think you and April should be considered as part of the name ie: ‘April Afloat’, ‘Bailey Breeze’, or ‘Furry Fleet’.